Earlier this summer I was in South Florida to attend the 2015 NHL Draft. Being the beach lover that I am, I spent a large chunk of my time at world famous South Beach. 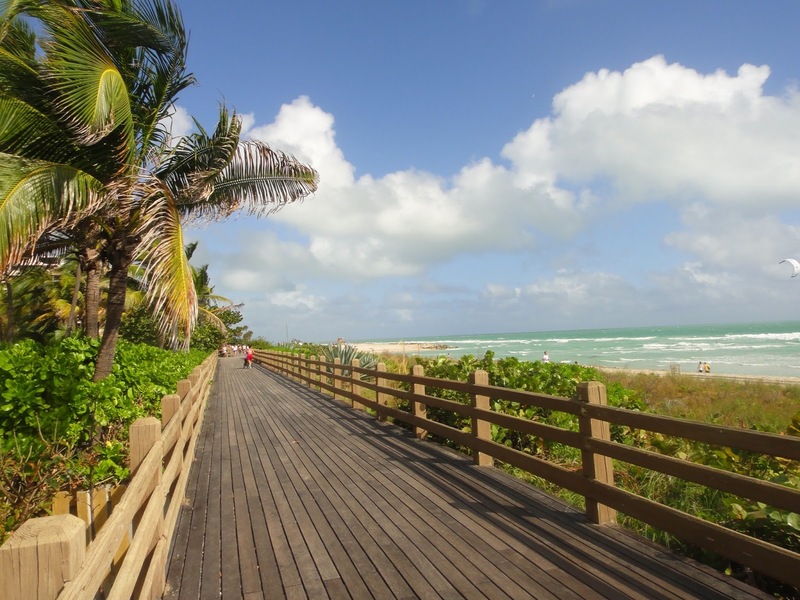 For those who like to stay active while on vacation, the South Beach boardwalk is a fantastic place to work some cardio into your routine away from home. The path runs for miles, switching between pavement and a traditional wooden boardwalk. It weaves through the palm-studded parkland separating the SoBe businesses on Ocean Drive from the sand and surf. It passes all of the ritzy mega-resorts that most of us would not be able to afford to stay at (but hey, it’s nice to take a peek!). You will find the boardwalk is very runner (and cyclist) friendly as running is one of the most popular things to do for the health-conscious locals and visitors alike. With the sun shining and the ocean scent in the air, there is really no better setting for burning those extra mojito calories. With all that said - Florida is hot, especially in the summer. So make sure you listen to your body and do not push yourself too hard when the humidity is stifling. Running in the (relatively) cooler fall and winter months is safer, but if you can handle the heat you always have the beautiful and refreshing Atlantic ocean waiting to cool your sweat-soaked skin when you finish. My other favorite post-run tradition on the beach is to grab a fresh young coconut from a street vendor by the boardwalk and re-hydrate on those natural electrolytes. -A solid run shortly after arriving overseas can help you sleep well at night and thus more quickly beat the dreaded jetlag. -Running in a new city gives you an instant lay of the land and can help you identify areas you would like to explore later in your trip. -Traveling typically involves a much less healthy diet than at home. There is no better way to counteract these extra calories and lessen the guilt at that night’s meal. -Often the combination of a long flight/drive, changes in diet & new schedule can cause a bit of a “back up” if you know what I’m getting at. Running is a great way to help keep the system flowing. -For those who track runs with tools such as Strava, it’s fun to see how your time stacks up against others in famous locations such as New York’s Central Park or the Las Vegas Strip. -If you are a regular runner, it’s great to come back home without feeling as if you've abandoned your training schedule and set yourself back. If this post interests you, check out my earlier article about a running tour I took in Barcelona, Spain. Did you know that you can create short urls with Shortest and make money from every visit to your short links.